Diagnostics Automation Inc. offers OneStep HBsAg RapiDipâ„¢ InstaTest. 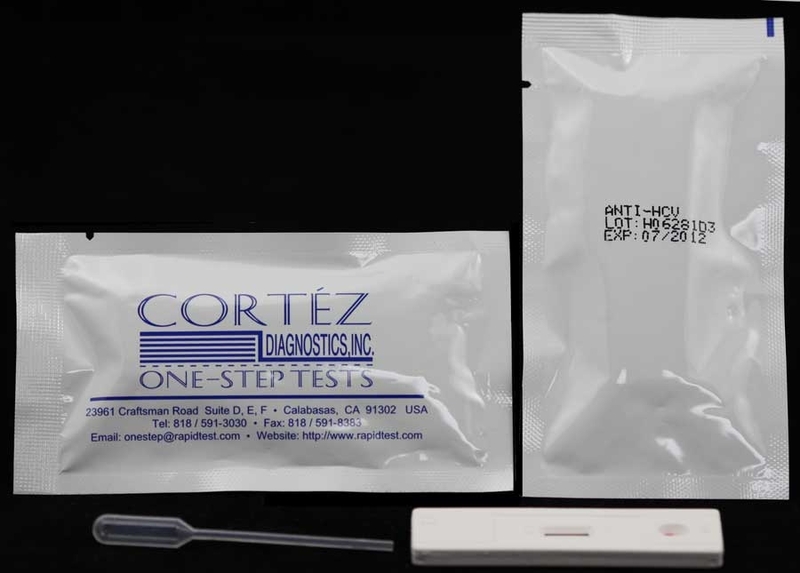 This HBsAg Rapid Test is a direct binding test for the visual detection of hepatitis B surface antigen (HBsAg) in Serum, Plasma, and Whole Blood. It is used as an aid in the diagnosis of hepatitis B infection and screening of blood donors or blood products. Hepatitis B virus (HBV) is an enveloped, double-stranded DNA virus belonging to the Hepadnaviridae family. HBV is recognized as the major cause of blood transmitted hepatitis together with hepatitis C virus (HCV). Infection with HBV induces acute or chronic liver diseases and in some cases that can lead to cirrhosis and carcinoma of the liver. Hepatitis B surface antigen or HBsAg, which was previously described as Australia antigen is the most important protein of the envelope of Hepatitis B Virus. The surface antigen contains the determinant â€œaâ€�, common to all known viral subtypes, immunologically distinguished in two distinct subgroups (ay and ad). HBV has ten major serotypes and four HBsAg subtypes have been recognized (adw, ady, ayw, and ayr). HBsAg can be detected 2 to 4 weeks before the ALT levels become atypical and 3 to 5 weeks before symptoms development. The One Step HBsAg Rapid Test is based on the principle of chromatographic immunoassay for qualitative detection of the surface antigen of hepatitis B virus (HBsAg) in human whole blood, serum, and plasma samples. Monoclonal and polyclonal antibodies are employed to identify HBsAg specifically. HBsAg Rapid Test is very sensitive and results can be read visually without any instrumentation. 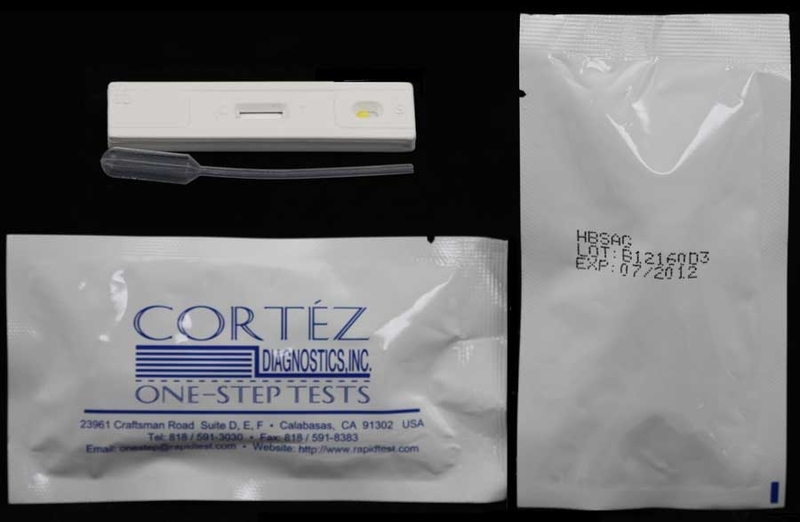 This HBsAg Rapid Test employs chromatographic lateral flow device. Colloidal gold conjugated monoclonal antibodies reactive to HBsAg (sAb-Au) are dryimmobilized onto a nitrocellulose membrane strip. When the sample is added, it migrates by capillary diffusion trough the strip rehydrating the gold conjugate. If present, HBsAg will bind with the gold conjugated antibodies forming particles. These particles will continue to migrate along the strip until the Test Zone (T) where they are captured by anti-HBs antibodies immobilized there and a visible red line appears. 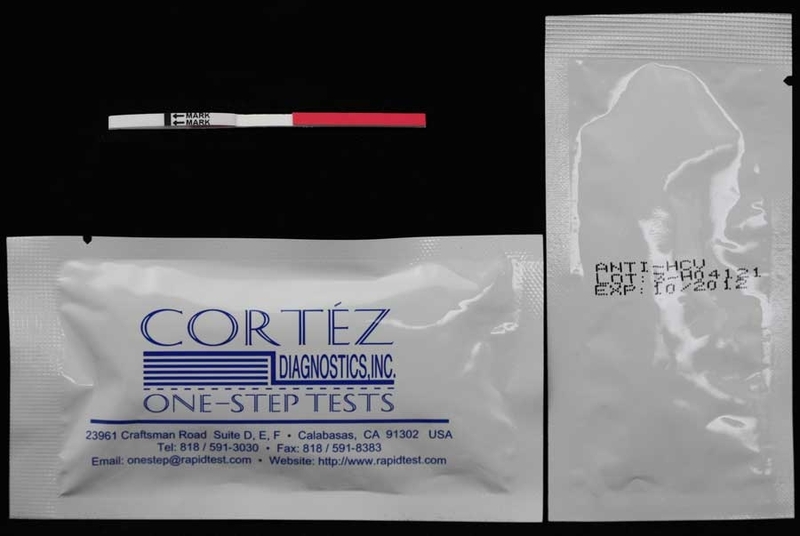 One red line next to the Test Zone (T) indicates that HBsAg have been detected using this Rapid Test. For additional details please refer to the instructions for use.